The National Institutes of Health is spending over $300,000 to study bars along the U.S.-Mexico border. The Pacific Institute for Research and Evaluation is heading the project. Among the study's aims are to examine whether bars in border towns like Mexicali have "more dancing" and "louder music." The study, "Mexican American Drinking Contexts On and Away From the U.S.-Mexico Border," involves researchers going into bars for "unobtrusive systematic observations." 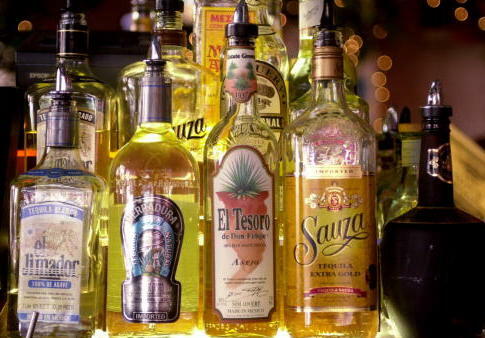 "The U.S./Mexico border is a unique macro context for drinking, with increased alcohol availability due to the lower minimum legal drinking age in Mexico of 18 years and an increased number of venues for on premise consumption of alcohol (bars, clubs, restaurants)," according to the grant for the project. "Previous research has shown that the border population is more at risk for unsafe drinking (binge) and drinking-related problems than the population off the border." "Mexican Americans are uniquely exposed to this macro environment by virtue of their location in large numbers in cities on the U.S./Mexico border," the grant states. The study will analyze Mexican Americans aged 18 to 39 who live in border cities between Mexico and California, including Imperial City, El Centro, Heber, and Calexico. One of the specific aims of the study is to show that younger Mexican Americans living along the border are "more likely" to go to bars and clubs than "Whites in Valley cities." The researchers believe bars on the Mexican side of the border will have "riskier operating conditions," such as "more patrons," "more dancing," and "louder music." "Unobtrusive systematic observations and semi-structured interviews will be conducted in selected bars in the border cities, in the Valley cities and in Mexicali," the grant states. "It is expected that commercial drinking venues in the Mexican border town of Mexicali, BC (across the border from the selected study cities on the U.S. side), will have riskier operating conditions (e.g., more patrons, more dancing, louder music) as well as lower priced alcohol and later closing times compared to venues in the U.S. border towns and Central Valley towns." The study has received $333,210 from taxpayers. This entry was posted in Issues and tagged Government Waste. Bookmark the permalink.